Five years ago, Marcella left her job as a police detective following an unsolved murder case. She was certain she had the killer, but nothing ever stuck. She has spent the intervening five years as a stay-at-home mom, but when a murder bearing a striking resemblance to the murders of her last case occurs she asks for her job back and seeks out to prove her initial suspect was carrying out the new crimes. That is one plot line, at any rate. Marcella is a police murder mystery show that comes with all the current trends of great BBC crime series of today. From the first scenes it feels like Luther and Broadchurch and Happy Valley. It is shot and edited to create a very distinct mood; there is something unsettling happening in Marcella’s world, and her perception of it reflects that. We learn early that Marcella (Anna Friel) is not going to be a relatable main character. She is deplorable nearly right off the bat as she crawls out of a bathtub covered in blood clearly not her own. She gets rage episodes so all-encompassing she blacks out, she beats people, and she even manipulates her own children at times. She is not the hero the audience wants to cheer for as the story progresses. The character wants to be an anti-hero like Tony Soprano or Walter White, but in starting out so aggressively showing the character’s faults the key part of an anti-hero’s charm is lost; we don’t like Marcella, and this is due to a stellar performance from Friel. The series is full of subplots, side stories and tertiary characters that play major roles later on in other storylines. Most of the stories and characters are linked together with an expert level of craftsmanship. Others crowd the series. The initial murder that kicks off the first episode is soon lost to half a dozen more murders. Characters are thrust into the plot to provide new red herrings, and it feels like the writing intentionally confuses the audience instead of the detectives trying to solve a serial murder case. Characters throughout the series are generally not good people. There is no shining light of humanity’s promise to be found here. From the rich and powerful Gibson family to the career focused detectives working alongside Marcella, there are not too many likable people involved in the Grove Park case. Likable characters do exist here, but in a show where murders pile up rather quickly they don’t last long. The series moves from one dour glance to another, with lots of yelling and crying in between. It is very dark at times and incredibly dark at others. One would think it is a parody of Luther or Broadchurch if not for the series being devoid of any levity. Character types that are usually off limits to being killed in this sort of modern-day serial are most certainly within bounds. 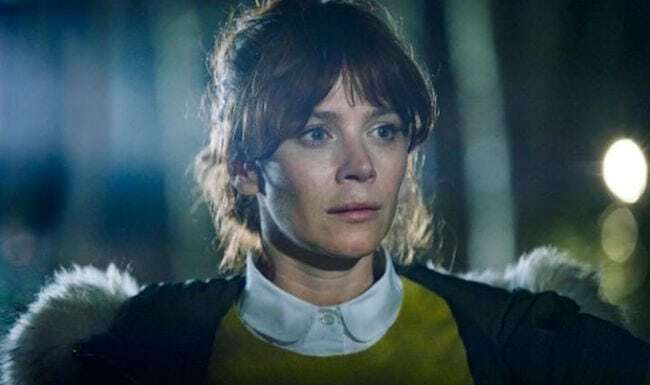 The show wants these moments to shake Marcella and by extension the audience, but we would have to like Marcella to care about her interaction with the moment. Fans of the British murder-mystery, “single crime in a season” genre are in for a treat. It does bring a notable difference from its like; frantic pacing, an irredeemable central character, and the villains in the story are creepy beyond compare for this sort of show. The series can be uneven and hard to keep track of, but ultimately is a nice addition to the genre.